It might seem counter-intuitive to use oil in your skin care, especially if you have oily skin. This is a common misconception when it comes to skin care, and one that can be remedied by researching the best oils for your face. The good news is, once you have made the leap to organic skin care, your skin will be primed and ready to work like it does in the natural wild world. To get a better understanding of why oil makes a great moisturizer for all skin types, we're first going to explain what the skin needs and how it works naturally. The skin is a thin living barrier between what is us and what isn’t us. For as thin as it is, the skin is our largest organ and it has three distinct layers that work as a cycle—every cell starts at the innermost layer and works its way to the outermost layer, taking about a month to complete. This means that the skin is constantly changing! We think about it like this— your internal body makes and feeds your skin through your blood. So whatever is happening internally, is filtering into that innermost skin creation layer. Then, the cells cycle outwards to the environment and what they’re exposed to externally makes a difference too—not to mention that our skin is totally porous and absorbing everything around us all the time. Now, let’s be honest here. The world is a dangerous place and the things we come into contact with can be hard on our bodies. Since the skin is our outermost layer, it’s also got to be a layer of protection. Not only does it tell us vital information about our surroundings (is that hot, cold, sharp, hard, etc) it works to fight off bad guys on a pretty regular basis with the sweat and the sebum that are produced in the skin. What's happening when you sweat? Sweat is essentially salt water. Just like using a salt water gargle at the first sign of a sore throat, the skin sends salty, cleansing minerals in a water solution out of your pores to kill off bad bacteria that are on your skin. Sweating is also an action that opens pores to push out any bad guys that might be in the blood (remember that the blood feeds the skin, so the body uses that same mechanism to drop off bad bacteria and then sweat helps move it on out.) Yet another reason that you have got to keep your skin hydrated! What we’re really after here is the sebum. Our skin’s sebum, our natural oils, is thick and sticky. It’s held and released by sebaceous glands that live inside the skin’s pores. This oil is what the skin uses to protect itself from those same nasty invaders that it uses the sweat to annihilate them. The sebum leaves the sebaceous glands and grabs onto any dirt, grime, or bacteria and hangs onto it so that it can’t enter the body and then we wash it away at the end of our days. So where does oil and moisturizer come in? What this boils down to, is that proper moisturization is more than just a vain beauty secret—it’s key for achieving an extra layer of balance to your skin. As you can probably imagine, over or under production of this sebum can cause skin mayhem. Overproduction can cause the skin to trap too much gunk and clog up pores, and underproduction can cause the skin to have a more difficult time protecting itself. Remember this article is actually about why to use oils in your skin care? This is where we come in. Like we talked about above, the skin uses it’s own homemade oil to trap dirt and grime. When it’s not in balance, skin chaos can ensue on a spectrum that stems from clogged pores to fine lines and wrinkles to itchy, flaky skin. Using an oil to moisturize is the best way to gently balance the skin, because it’s already accustomed to working with an oil and it helps to balance out the oils for the appearance of healthy, glowing skin. We’re into purity and Earth-based organic ingredients. 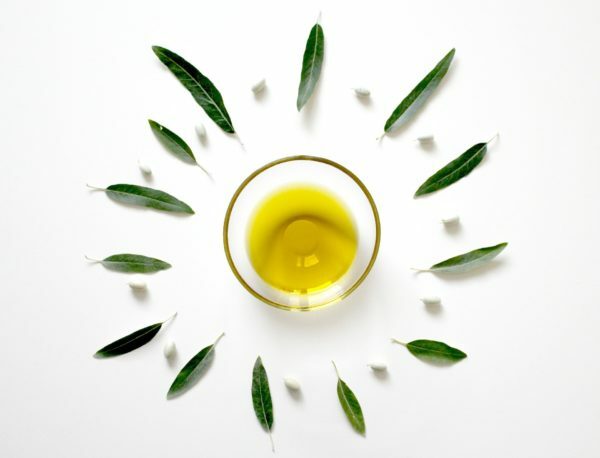 An organic oil that has been sustainably sourced and processed safely is one of the purest ingredients. They’re full of the botanical benefits that come with the plant they’re sourced from, which are often very high in minerals and antioxidants! Oils are great to infuse even more minerals into. They readily accept fat-soluble nutrients from anything they’re steeped in so when you’re using an infused oil in your skin care routine, you’re getting a protective moisturizer along with replenishing vital nourishment. Think about the person you know that has the most beautiful natural skin. Do they look too oily? Too dry? No, they’re blessed with that ‘just a little bit of dewy’ perfection that we crave. Finding the right balance with oils isn’t about using a lot or a little bit of oil, it’s about using the right one at the right times. A pea-sized amount rubbed into the palm of your hands and patting it into your face is all most people need for their daily moisturizer. Using pure oils helps us keep the chemical preservatives out of our products! The fun is just beginning. Now that you’re sold on using an oil for your skin care routine, it’s time to start looking at what might be the best kind of face oil for your skin type. Once you have an idea of your best carrier oil, you can check out what you want to look for in terms of a good facial oil that has that carrier oil in it! Do you use oil to moisturize? Tell us about it below! Do you have any suggestions about what do I need to add to my skin care routine? What about argan oil? My sister just made me a bottle with essential oils. I’m using it under my wrinkle cream every day. I am 66 years old. I use nothing on my face but Clearly Natural Unscented Glycerine Soap. I’ve been using it for over ten years now. It rinses off very well, and my skin can breath. If I were to put heavy oil on my face, every pore would become clogged, my face would break out, and my facial skin would not be able to breath. I would get blackheads and those white comedomes. I think this advice is ridiculous. It may work for the very young but not for seniors whose metabolisms have slowed down and whose pores no longer clean themselves out due to their slower metabolisms. We’re glad to hear that you’ve found a skin care routine that works for you. You’re right that oils aren’t for everyone’s skin but we do suggest trying it out if you haven’t. You might be pleasantly surprised at how soft and supple the oils make your skin look! I put coconut oil on my face every single day, sometimes twice a day.